This home has been design with efficiency in mind, in order to create a home that is small in regard to its footprint (100m2) yet is large in regard to capacity and functionality. The key to creating such a small large space is to utilise the steep roof pitch and locate two bedrooms, a second living area and bathroom in the attic space. 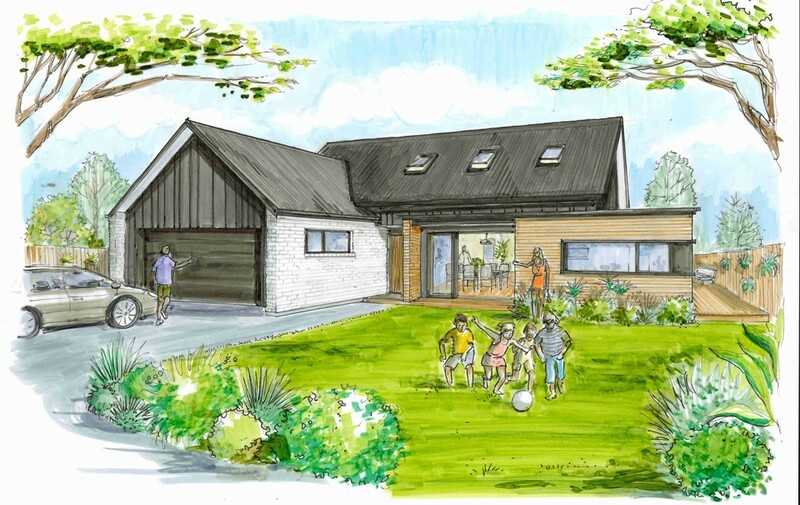 This house has been designed for a new residential subdivision in the rapidly expanding area of Omokoroa. A dead square site of 400m² and a modest budget presented challenges which required some alternative design solutions. Designed to accommodate a family of five, emphasis has been placed on creating a large, multifunctional family zone on the ground floor. The house is in a basic L-shape configuration which allows for a large northfacing lawn. This lets the house recede from the street rather than dominating the section - a rare commodity in new, smaller subdivisions which are now becoming the norm. 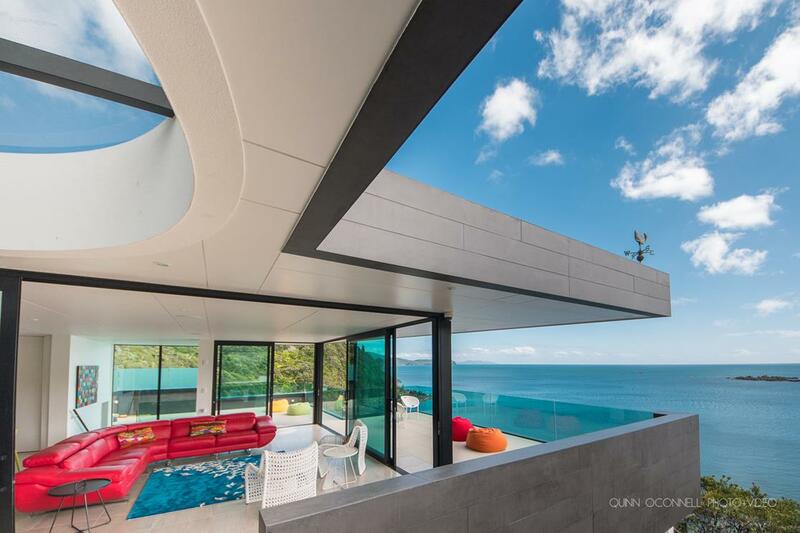 We were stoked to have our Coromandel home design selected for UNO. magazine's Top 10 Designs feature. 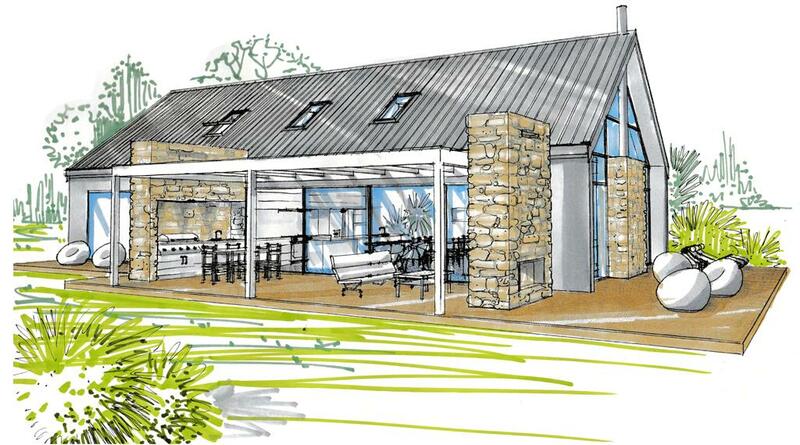 Find out more about this impressive Insulated Concrete Form (ICF) home here.